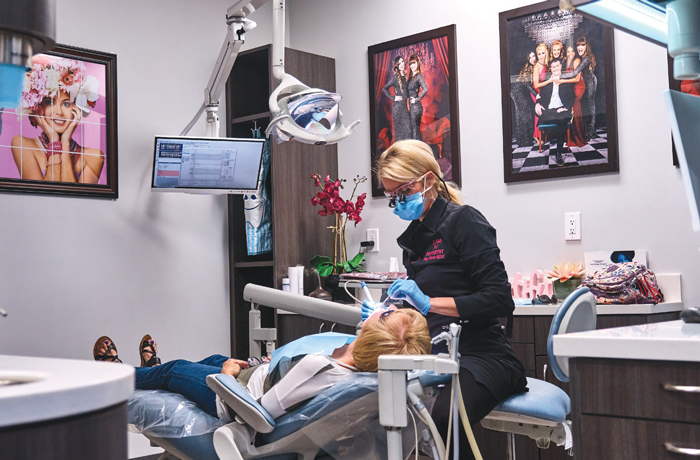 Dentists spend most of their working hours in their practices, so they usually don’t get many opportunities to see what it’s like inside another doctor’s office. 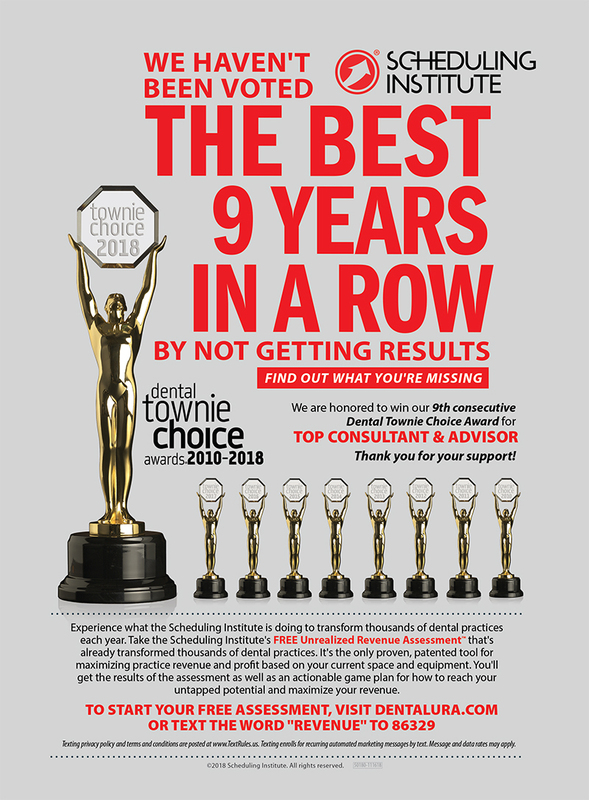 Dentaltown magazine’s recurring Office Visit profile offers a chance for Townies to meet their peers, hear their stories and get a sense of their practice protocols. 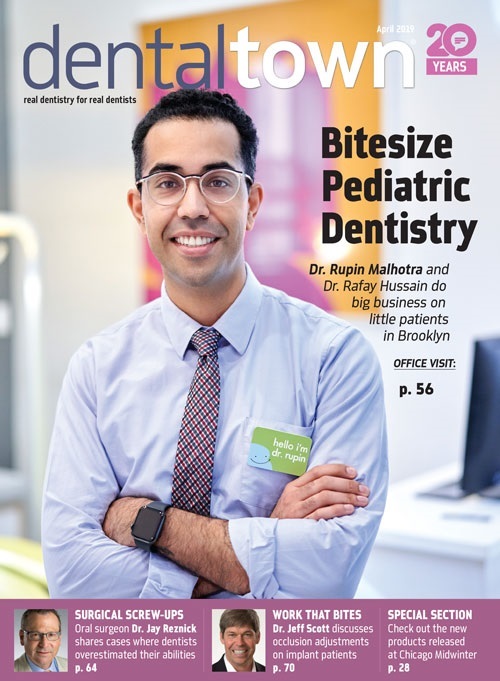 In this issue, we introduce Dr. Delia Tuttle, a Romanian immigrant who was a practicing physician in her country before moving to the U.S. and becoming a dentist. Her drive had propelled her to turn around a failing practice, start a group to empower women in dentistry, invent new treatment techniques and pass her knowledge on as a speaker and educator. Read on to learn more about this impressive Townie. Before you became a dentist in the United States, you were a practicing physician in Romania. Moving to the U.S. to practice dentistry meant leaving family, years of education and a career, overcoming a language barrier and other obstacles. Tell us about your life in Romania and why becoming a dentist in the U.S. was so important to you. My life in Romania ... yes! I missed it so much. It was very simple, but fascinating at the same time. I missed that simplicity. But America is the land of freedom and opportunity and I am very blessed in my new country. I am a successful immigrant.Fighting mediocrity was my goal in moving to America; I didn’t want to be mediocre or provide poor service to my patients. I had studied to become an oral and maxillofacial surgeon back in Romania, which requires both medical and dental degrees, so I did both. Before dentistry, becoming a cardiologist was my dream and I spent summer vacations in cardiology departments, open heart surgeries and emergency rooms. I was in love with it, but in that time it was nearly impossible to find a position in a big-name hospital, so I decided to do something smaller but with a lot of fulfillment. I felt like dentistry was filling that gap at that time. Once I moved to the U.S., I was eligible to work as a dental assistant before my board exams and acceptance to UCLA. My $10-an-hour assistant job taught me a lot and made me feel for my co-workers and their responsibilities, and ultimately made me want to compensate them more. The language barrier was not a problem after enrolling at UCLA. Many of my teachers and classmates were immigrants, which made me feel better, and I felt less insecure about my English skills. As a matter in fact, people love my accent and I consider it part of my personal charm today. You’re in a terrific place in your career, but behind the success there was a lot of initial struggle. What has been most challenging time of your career? My son was only 3 months old when I was accepted for the International Student Program at UCLA. I developed anxiety, and after a few months of school I had problems breathing. Even though I was a doctor, I wasn’t able to recognize my own symptoms! My life was in chaos as I prepared for the program; I remember that day I left to move on campus, leaving my son and husband in another part of the state. I took a deep breath and put feelings of motherhood aside so I could muster whatever energy was left after giving birth and being sleep-deprived to face my training. After three months of intense training from morning to eve, coupled with my worry over high tuition expenses, my anxiety had reached an all-time high. To top it off, I returned home every weekend to be with my family but spent the bulk of it cooking, cleaning and taking care of my son to relieve my husband and his family from their week of responsibilities. They were definitely my heroes, but I didn’t have time to recover and recharge on the weekends before returning to school so my anxiety symptoms escalated. Also, my parents’ visas were denied, and I had to deal with this entirely on my own. After a year of this nonstop, I realized that my life was under extreme pressure and I needed to learn how to deal with it. Between board exams, loans, motherhood, the pressure to succeed, the pressure to find a job after graduation, and to pay my UCLA loan, I finally took the time needed to reflect and organize my brain; I learned how to unplug and disconnect. It was a skill that has helped me all of my life since. It is a skill you find when you have been in a chronic mental state of survival mode and have only two options left: continue to survive and be swallowed up, or stop the insanity and start to thrive again. I learned there is a way to live under pressure without folding and I began by creating time for myself. Exercise and sleep became my best defenses against the anxiety. After you graduated, you bought a failing three-operatory practice from two doctors who were mostly working with HMOs. 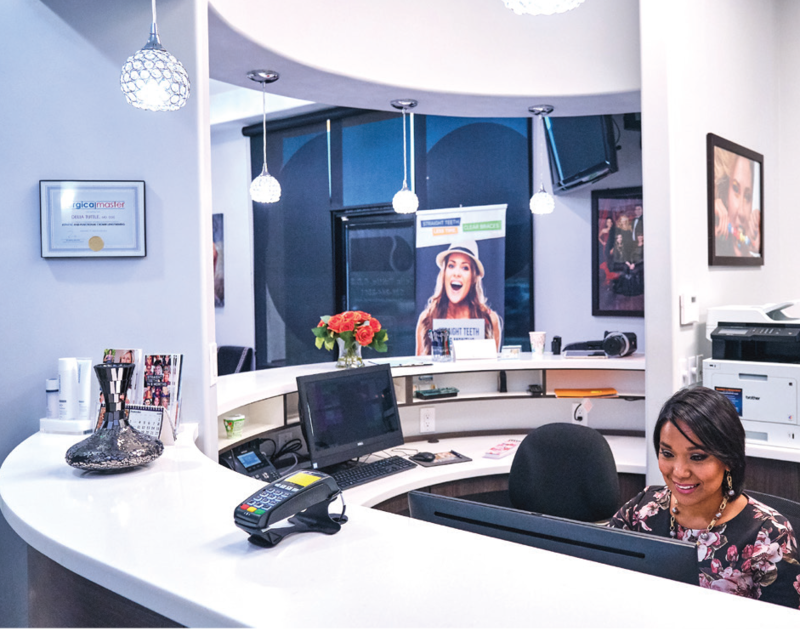 A few years later, you turned the practice around entirely, into a thriving eight-operatory office focused on PPOs and fee-for-service. How’d you do it? After my immigration, I dreamed of having a private, two-operatory practice. I never imagined I would have an eight- operatory practice with a dream team! Six years ago, I purchased a private practice from two dentists who treated HMO and PPO patients. The doctors were open only two days a week. After a few months of putting my heart into my patients, I was booked six days a week. After running myself in circles, I decided to part ways with all HMO plans; I stuck with a few PPOs and focused my efforts on fee-for-service. I was pleasantly surprised that my initial plan was successful; working less was actually more profitable! Three years into owning my practice, my next-door neighbor’s lease expired, so I took the leap and jumped at the opportunity to expand my office footprint. In October 2018, you held your first convention, Divas in Dentistry, in Benidorm, Spain. How would you describe the convention to someone who wasn’t there? How did the idea come about? Less than two years ago, I arranged a small group of female dentists with the goal of changing the face of dentistry. These amazing women dared to face their fears, to dream one size bigger, and to lead, learn and collaborate. These women inspired other amazing women, and taught us about passion, success and failure. We got into this profession not only to work on teeth but also to change lives. It doesn’t matter where you are—you can do what you can with what you have. The best way to create your future is to do just that: create it! Our next events will be in Portugal in 2019 and the U.S. in 2020. I’ve come to understand only you know the race that you’re running. Put your lipstick on, ladies, and smile because your destiny is in your hands—you are the Wonder Woman of your story. I learned as I got older that life is a combination of bitter and sweet, and diplomacy is essential. It’s about learning to embrace wherever you are with patience, wisdom, grace and love. Growing up in Romania, my friends used to call me “Barbie.” It was a compliment on the outside but, honestly, who is this woman now? I love that I’m seen as feminine and beautiful, because I know that outer beauty is intimately connected to who you are on the inside. 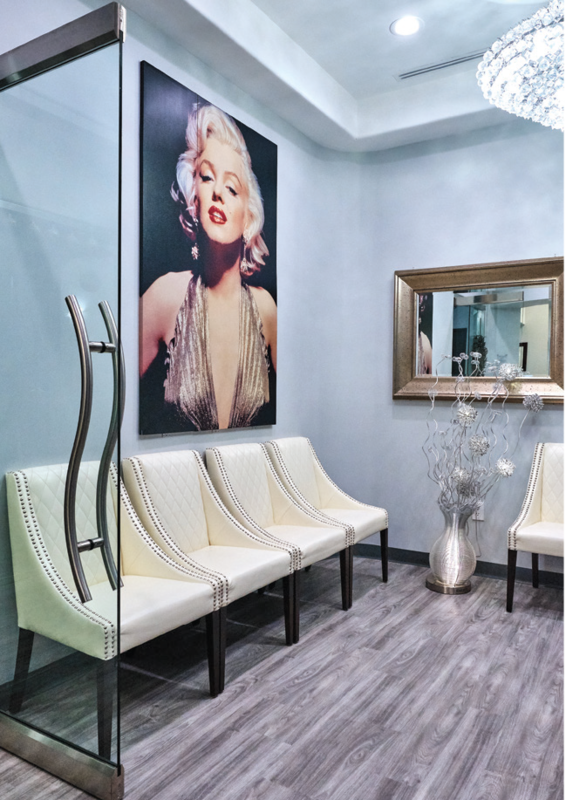 You consider yourself a general dentist, but you do all kinds of specialty treatments and cases. You’re particularly passionate about soft-tissue management, and you’ve created a popular Facebook group, Follow the Pink, centered on periodontal health. 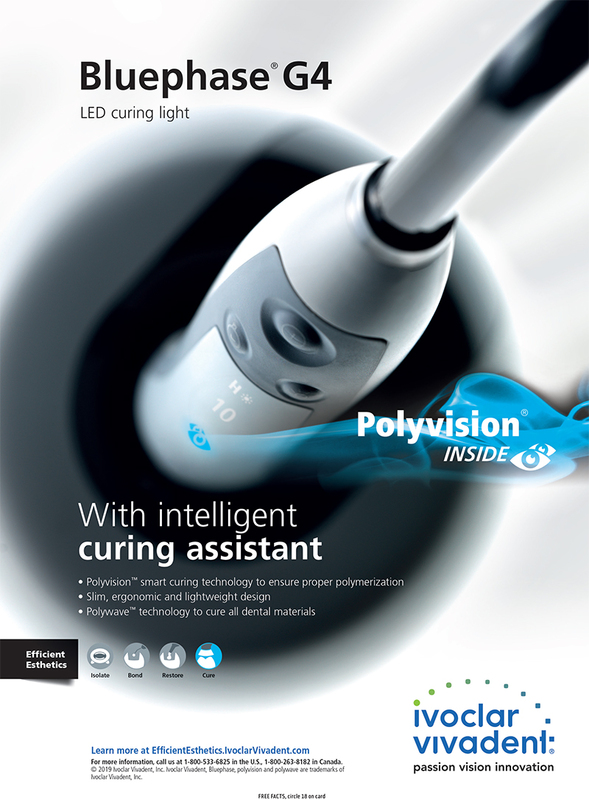 What has made periodontics so important to you? I’m fascinated by the capability of soft tissue healing, and this brought a huge impact to my daily practice. Creating a healthy periodontal foundation for your restorations is vital to maintain long-lasting ones. My favorite procedure involving soft tissue is periodontal plastic surgery for gummy smile treatment and, of course, using the Gum Drop Technique, a root coverage procedure I developed that garnered quite a bit of controversy on Dentaltown’s message boards! I have a passion for treating periodontal disease and encourage dentists to learn crown-lengthening procedures and pocket reduction surgery. Besides cosmetic procedures, we need to save teeth! Soft-tissue love is mandatory to become an extraordinary dentist. 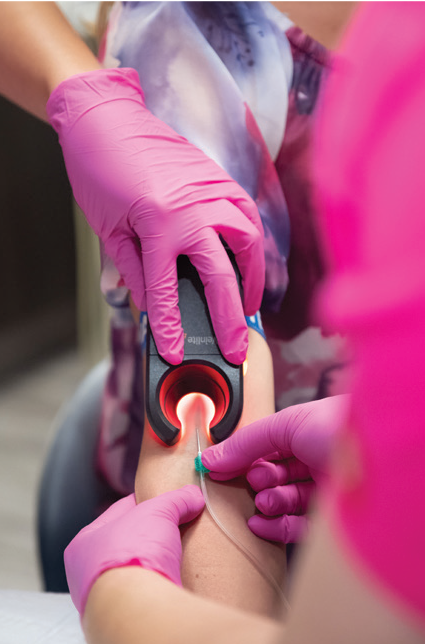 Another interesting clinical facet of your practice is the use of platelet-rich fibrin (PFR). Are you primarily using it in coordination with bone grafts? How did you get started offering this to patients? 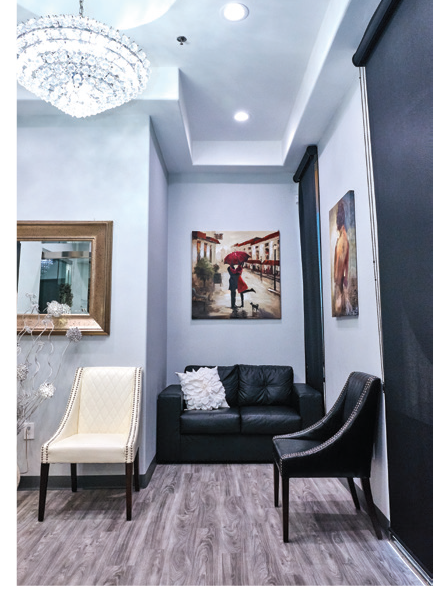 Platelet-rich plasma changed my vision on healing and the way I practice dentistry. PRF is commonly used for plastic surgery, facial aesthetics, heart surgery and orthopedics, and now we are very fortunate to use PRF in the dental setting. 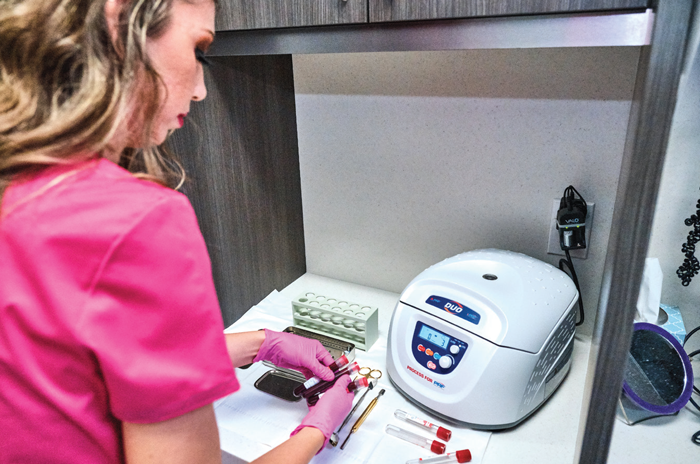 Using platelet-rich fibrin helps the body to regenerate and heal faster. 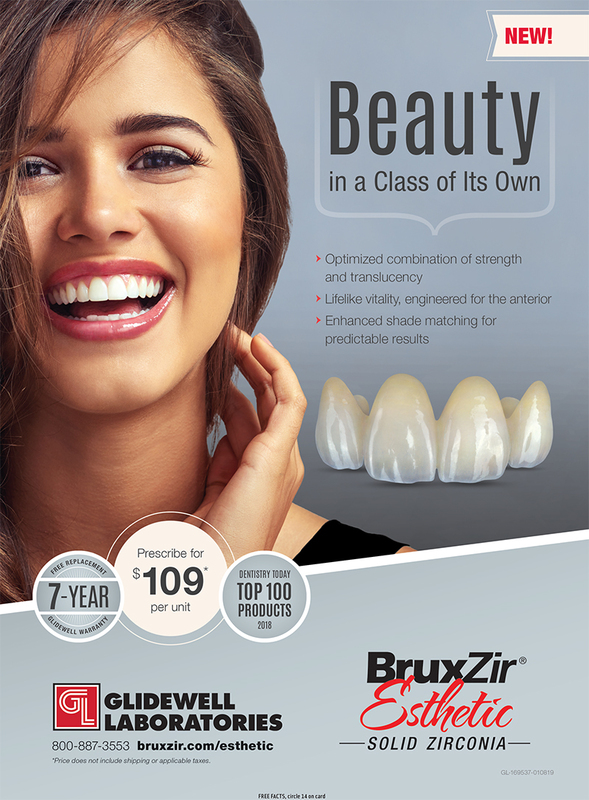 This quality reduces the chance of complications leading to implant or graft failure and infections. 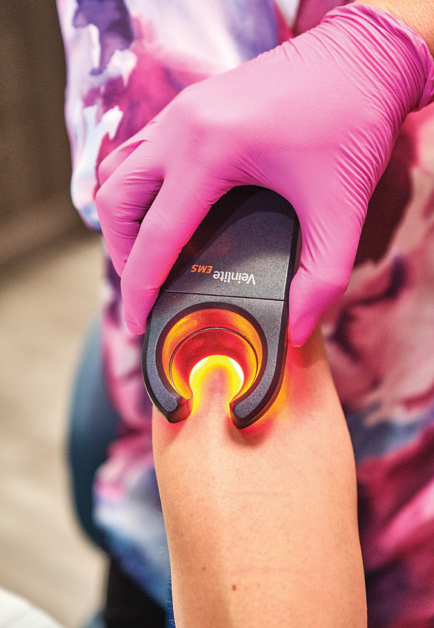 Diabetic patients and some immune-compromised patients with healing impairments can benefit from these procedures. After all, it’s all about blood supply when we’re talking about a successful surgical procedure. I’m currently using PRF for a variety of clinical indications such as sinus repair after surgical extractions with oral/antral communications; sinus lifts with immediate implant placement crestal approach; socket augmentation; filling the gap for implant placement; osseous surgeries for pocket-reduction surgery with bone defects; lichen planus; Gum Drop Technique; osteonecrosis of the jaw; and even dry socket treatment. Reimplantation and TMJ are more indications for PRF—we have a lot of literature to support all these treatments. 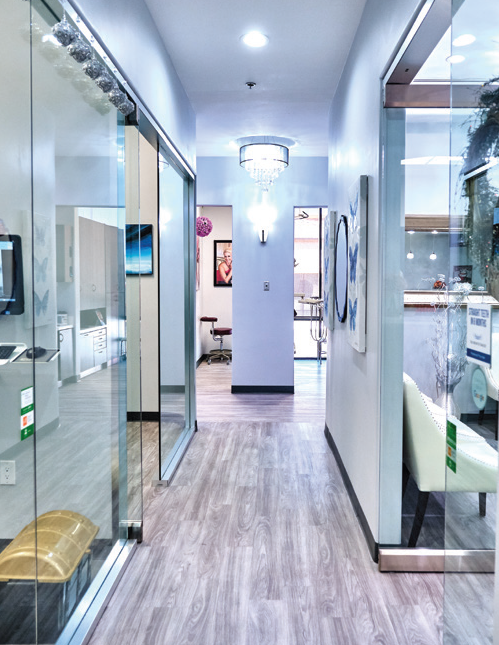 Your practice is about 75 miles north of San Diego in what seems like a nice, quiet area, and yet there’s nearly a dozen dental practices within 15 miles of your office. What’s your marketing plan to stay competitive? California is a dream state, but supercompetitive and oversaturated with dentists. I knew these facts but I never worried about it—there’s so much work to be done, there is dentistry for everyone. Most of my referrals are based on word of mouth, and I also do my daily social media, including Facebook, LinkedIn, Twitter and Google. I worked on getting my name out there by publishing articles, conducting CE courses, and lecturing at national and international conventions. This way my name is present on any internet search, giving more trust and exposure to my patients. You’ve done a lot—and continue to strive toward—empowering women in dentistry. What’s your message to women in a profession that is still predominantly androcentric? I see women in their highest light. Women are healers at the core, and I love honoring that. For me, a “Diva in Dentistry” is equal to a goddess in dentistry. I wanted a platform for women in our profession to come together and be lifted intellectually and supported emotionally through love, joy and success. Time is precious, and you could be missing out. You don’t have to be a genius to be successful; you just need perseverance and a dream. Motherhood is special. You will learn to multitask. You will learn how to deal with your emotions, and you will look differently at life. Your children are a blessing. Work less and do not miss their activities. Dentistry is not everything. Improve yourself. Also, add to your pyramid of knowledge, mastering one step at a time. You’ll feel fulfilled inside and you will have a purpose. You’ll bring more quality treatments to your patients, and at the same time you’ll avoid plateau and depression in your career. Deal with your ego. Surround yourself with people better than you and lift the ones who need your help. Don’t resist change; it takes more energy and effort to fight change than to accept it. Change is always an opportunity. Change is learning, growing and improving, and that is the goal of life. Expect less from people and be prepared to have holes in your heart. Do good and expect nothing in return. You will learn to recharge and do good again. Never lose hope in human beings. This alone will make you more human. In the Dentistry Uncensored with Howard Farran podcast titled “Fearless Dentistry,” you talk about the role fear has played in your professional life, especially in the beginning. What were you afraid of when you first began? How did you overcome it? It’s critical that fear not enter the equation! 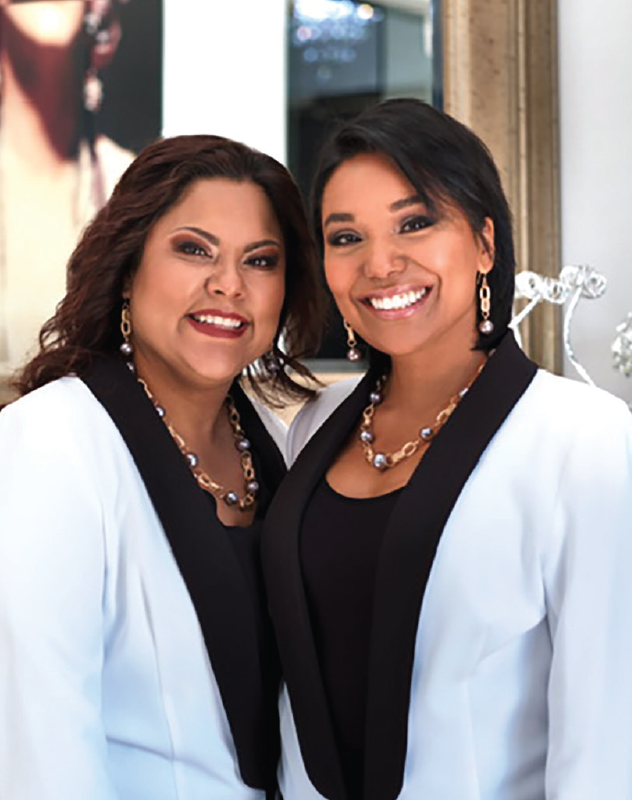 One of the underlying reasons in creating Divas in Dentistry was to have a platform where women can come together and excel in dentistry, to break the boundaries of fear and go beyond what was thought possible. People have always told me that I inspire confidence in them, and that I’m able to increase their confidence to a superlative level. The real enemy that prevents you from your success is your own fear of it. It’s very important that you stay true to yourself. I learned to say yes and no even when it was the hard thing to do. I realized that we are living in a very small world and it’s better to be kind. The world will turn around on you, and it will prove to you that your instinct was correct. It’s just a matter of time. What’s your favorite patient story to tell? I have changed her name to Angelica to protect her identity. Angelica is a beautiful, strong woman who had a hard life. She was adopted when she was 10 years old, and despite emotional difficulties she was able to have a successful career as an adult. Still, family life was challenging because she was a single mom with three children. Stress and depression from domestic violence led her to heavy smoking and neglect. After smoking four packs of cigarettes a day for many years, her health condition was fragile, and upon medical investigations, it was recommended to have a blood transfusion and open-heart surgery, but because of her family’s religious beliefs, she was obligated to refuse the surgery and any blood transfusions. I met her when her life was in turmoil. In addition to the condition of her body, the health of her teeth was also severely compromised; many dental professionals had refused to treat her because of her heart condition. By the time she came to me, her confidence had been all but shattered, and her smile was non-existent. Angelica was in a state of chronic pain from the deterioration of her teeth, and it was going to be hard to proceed with dental treatment because of her heart and pathological anemia conditions. This is where the physician in me vied for first position. I vowed to take Angelica as my dental patient, knowing I’d be working with her cardiologist to start dental treatment. Angelica developed a strong trust bond with our entire team and me. Being naturally crafty and artistic, she made gift after gift for the office to show her deep appreciation. After her upper arch was completed, Angelica decided to proceed with open-heart surgery. It turns out she suffered from a very rare condition where part of her heart arteries was embedded into the cardiac muscle, creating ischemia with heart attack symptoms. Because of her decision to have cardiac treatment and blood transfusions, she lost custody of her children; it must have been indescribably difficult to make such a choice, but she chose life. 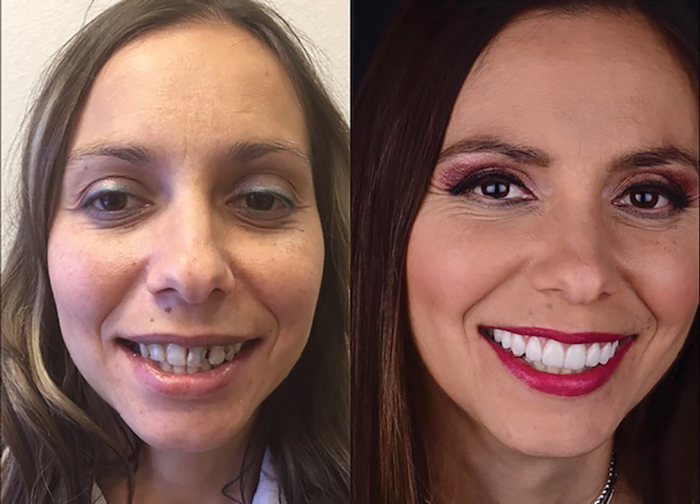 The recovery time was lengthy, but Angelica came back stronger than ever and more motivated to move forward with her lower arch reconstruction to complete her dental treatment. I felt and still feel to this day touched to have been a part of her journey. People are put on our path for divine reasons. Angelica became more than a patient. Her vivacious personality came back to life, and she was able to find the job of her dreams. I can’t find the correct words to explain this experience for me as a dentist—the heartbreak, the joy, the tears. I felt so many emotions, not only from me as a dentist but from me as a human being. I know we all have the ability to help others, and in so doing we are changed for the better too. That is everybody’s power within—to help people gain a second chance at life. That’s where we all can make a difference. Dr. Delia Tuttle’s patient “Angelica” (not her real name) came to Canyon Lake Dental with teeth compromised by years of ill health and smoking; she was in chronic pain because they had deteriorated so badly. Tuttle reconstructed the upper arch before Angelica underwent open-heart surgery, then finished the lower after afterward; the reinvigorated Angelica went on to find a great new job. Describe a typical day at your practice. We start the day with coffee and tea during a morning huddle, filling our minds with positive energy. Reviewing the schedule and directing my team is paramount before we start: When every team member knows her duties, the day flows smoothly and we avoid chaos. Movies, blankets, tea, coffee, fruit and cookies are always available for patients because the patient experience counts the most. That includes aromatherapy! The day ends with finalizing billing, confirming with lab deliveries and patients, cleaning operatories and reviewing the schedule for the next day. This way we are trying to prevent any upcoming drama for the following day. No drama, please! What are your passions outside of dentistry? We hear that you’re big into Zumba and you dream about competing on Dancing With the Stars. Someone said that, “Happiness starts inside us.” Music makes me feel alive, and gives me enough endorphins to recover from stress, negativity and working under pressure every day. Our daily work is physical and hard on our bodies, which can be draining and exhausting. You can get burned out quickly. Dancing With the Stars would be a dream come true, but I am not that famous yet. Tell us about how you met your husband, CJ. He’s also your office manager. What’s it like working with him and your team of divas? CJ is my hero! Nothing moves smoothly at the office without him and he is wearing a lot of hats! From payroll to repairs to ordering materials, surgical assistant, manager, staff interviews, human resources, organizing my courses and dealing ultimately with a lot of female co-workers who happen to be divas. But the most amazing quality of my husband is that he supports my crazy ideas. It might take a while to persuade him and process the situation, but he always gets involved. I met CJ five years before we got married during one of my visits to the U.S. for a convention. We fell in love in Manhattan. After only a week of dating, we knew that our beautiful journey had just begun. He proposed to me after my dental school graduation in Romania. Our son, Alexander, is 11 years old and he is eager to prepare for a dental career as well, which makes my heart happy. What is something you would like to see dentistry do better as a profession in the next 10–15 years? •	Being kind to each other is a good start. There’s so much negativity between dentists; I see it in message board threads on Dentaltown. You will be surprised to see how a grateful heart can become a magnet for miracles. It happened to me! •	I’d love for there to be better lab and patient communication. •	You need to invest in photography! It’s a must. Most problems related to a patient leaving the practice has to do with how you handle a delicate situation. Photography tells the story and shows the patient’s progression. •	Embrace the new! Embrace technology and invest in yourself. •	I’d like to see more practical, straightforward educational courses. •	Last but not least, keep up with the latest research in medicine. There is so much to follow in dentistry! Think about cancer research, immunomodulation, stem cells, imaging, flap designs, genetic testing and so much more. Stream Dr. Delia Tuttle’s full podcast online! To stream or download Dr. Delia Tuttle’s full Dentistry Uncensored podcast with Dentaltown founder Dr. Howard Farran, click here.